The Wallace Township Municipal Authority consists of five members, serving on a voluntary basis and appointed by the Board of Supervisors. 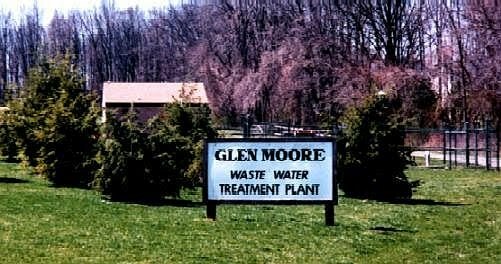 The Authority was established in 1984 to oversee the design, construction, operation and maintenance of a municipal sewage facility for the village of Glen Moore. The village, settled at a time when there were no local or state laws regulating lot size and wastewater systems, had a history of malfunctioning on-lot systems. Repairs of the individual systems were not possible due to the small lot sizes. Connection to an existing municipal system was ruled out and the construction of a conventional collection and treatment system was cost prohibitive. Working within the constraints imposed by the project, a combination of innovative and alternative technologies was selected for wastewater collection, treatment, and disposal. Federally funded by the Environmental Protection Agency, the sewage facilities consist of a low pressure/grinder pump collection system, stabilization lagoon treatment, and a spray irrigation disposal system. The treated effluent from the lagoons is disinfected and irrigated over hay crops. This process provides for nutrient recycling and groundwater recharge. Meetings are held on the 2nd Tuesday of every month at 7:00 PM. • First, check the electrical control panel in your basement to be sure the circuit breaker for the grinder pump is "ON" and not tripped. • Silence the alarm by opening the panel and pressing the "alarm silence" button. Report the alarm to the Operator IMMEDIATELY at (610) 942-2053. Delays in reporting the alarm may cause irreparable damage to the equipment which, in turn, causes increased operational costs that must be passed on to the users. • Operator will assess the cause of the alarm over the phone to determine whether an immediate response is necessary or whether it can wait until his normal daily visit. Again, this avoids overtime costs which ultimately must be passed on to the users. The grinder pump has an 80 gallon capacity to keep you on line under normal operation. If you have an overflow situation, the Operator will respond immediately. • DO run water for 10 minutes prior to leaving on vacations of seven days or longer. • DO NOT attempt to operate or perform maintenance on the grinder pump or control panel. • DO NOT pour flammable or volatile liquids down drains. • DO NOT flush disposable diapers down drains. • DO NOT flush sanitary napkins or condoms down drains. • Conserve water and reduce wastewater flow into the septic tank, especially during rainy, wet seasons when the ground is saturated. • Have the septic tank pumped at least every 3 years, depending upon tank and household size. • Avoid putting harsh chemicals in the septic system. Use non-toxic cleaning products such as baking soda to scrub toilets or boiling water to clear clogged drains. • Keep a grease can handy and compost food garbage or put it in the trash. A garbage disposal adds 50% more solids to your system. • Do not use the toilet to dispose of bulky, slow decomposing wastes. • Inspect the septic tank, pipes, and drainage field annually. • Maintain accurate records of the septic system, including design, installation, location, inspections, pumpings, malfunctions, and repairs. • Prevent run-off from downspouts, sump pumps and paved surfaces from getting into the septic system. • Keep heavy vehicles, equipment, and livestock away from the septic system. • Do not plant trees and shrubs on or near the septic system. • Don't wait—if your septic system shows signs of problems, act immediately. Regular septic tank pumping will prolong the life of your septic system. Keep in mind that a septic system usually costs less than $200 to pump, but several thousands to replace. A healthy on-lot sewage disposal system is crucial to preservation of safe drinking water. Therefore, the Township will soon require that every individual on-lot sewage system be checked by a qualified sewage service contractor to determine the condition of the system. If it needs pumping, that must be done. If it does not, a statement to that effect must be supplied to the Township Office. It is proposed that one third of the Township be required to be checked in one year so that the entire Township will have been checked in a three year period.